With the increasing concerns among individuals to get adequate protein in their diet, many individuals are turning towards soy protein supplements. The global soy protein market is estimated to reach $7430 million by 2024 with a CAGR of 5.9% between 2016 and 2024. Increasing awareness among consumers has been driving the popularity of soy protein within recent years. Many individuals are learning about the various benefits of protein and the growing demand for a protein rich diet. Furthermore, the increase consumer focus on meat alternatives and advancement in ingredient technologies are the key market drivers for soy protein. North America is the major market in the global soy protein market and is expected to dominate the market from 2017-2024. With ingredients such as amino acids, calcium, iron, potassium, lecithin, magnesium, and vitamin B, soy protein provides a number of health-related benefits and functional properties. Those that are looking for environmentally friendly options will frequently turn to soy protein supplements, as they require less amount of water while processing. BioThrive Sciences provides start to finish private label manufacturing services of soy protein. 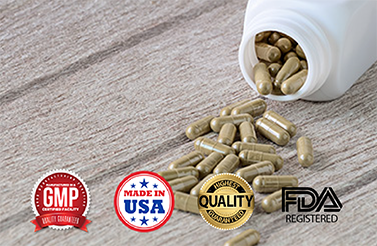 From our custom formulations, to private label design, printing and packaging, and domestic and international drop shipping, BioThrive Sciences is your one-stop shop for private label manufacturing. We will always ensure your packaging is compliant with industry standards. Rest assured, our team will work with you to create a seamless manufacturing experience form beginning to end. What sets us apart from other private label manufacturer is our commitment to our customers, high standards and quality assured products. In fact, our team has the Good Manufacturing Practice Certification, recognizing manufacturers that minimize risks and adhere to strict quality standards. Contact us at 844-263-3657 to learn more about our soy protein manufacturing services.